Strap in for a health and safety blow-dart, a killer whale and souffle. Stars Edward Eales-White and Catriona Knox. From May 2012. Strap in for fifteen minutes of rip-roaring comedy as Clever Peter bring you a Health & Safety blowdart, a killer whale and a soufflé. 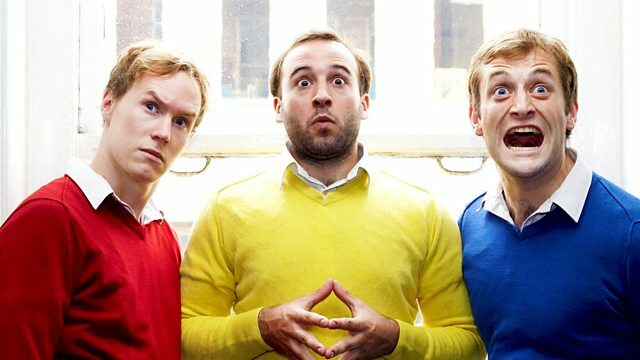 Clever Peter - the wild and brilliantly funny award-winning sketch team get their own Radio 4 show. From the team that brought you Cabin Pressure and Another Case Of Milton Jones comes the massively bonkers and funny Clever Peter, hot off the Edinburgh Fringe and wearers of tri-coloured jerseys. Should I listen to the show? A Pozzitive Television Ltd Production for BBC Radio 4.